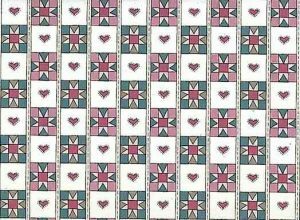 Patchwork quilt vintage wallpaper consisting of flowers, checks, ticking stripes, dots in Pink, Green, Off-White. Only one double roll available but would work well for a crafts project or a feature wall. Country cottage style. 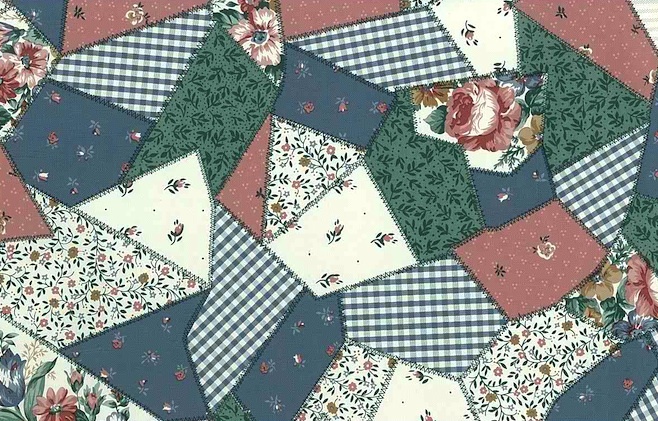 Usage: Ideal for a Sewing Room or Crafts Project.